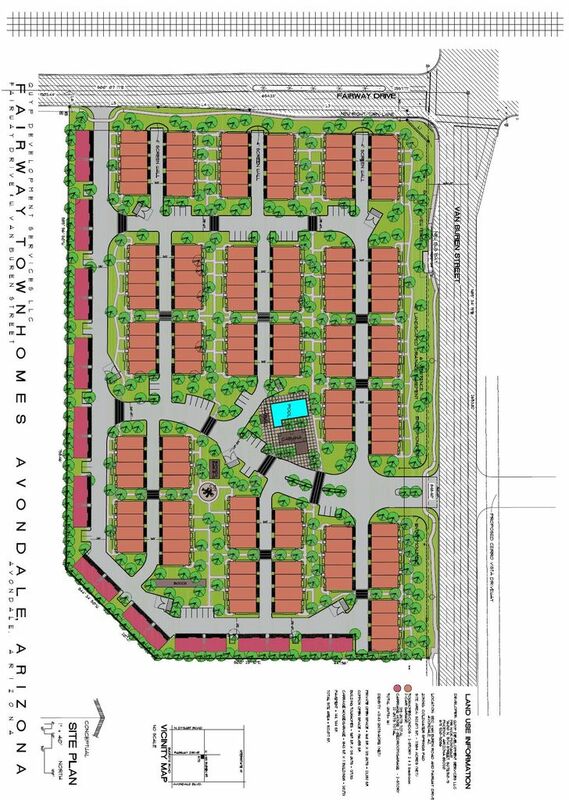 What do you think of the proposed Fairway Drive Townhomes development located at the southeast corner of Van Buren and Fairway Drive? Application PL-18-0177 Fairway Drive Townhomes: A request to Rezone approximately 13.8 acres located at the southeast corner of Van Buren Street and Fairway Drive. The subject parcel is APN 500-29-016. The subject property is currently zoned Planned Area Development (PAD) for commercial use. The applicant is requesting to Rezone the property to PAD for single-family attached (e.g. townhome) residential use. 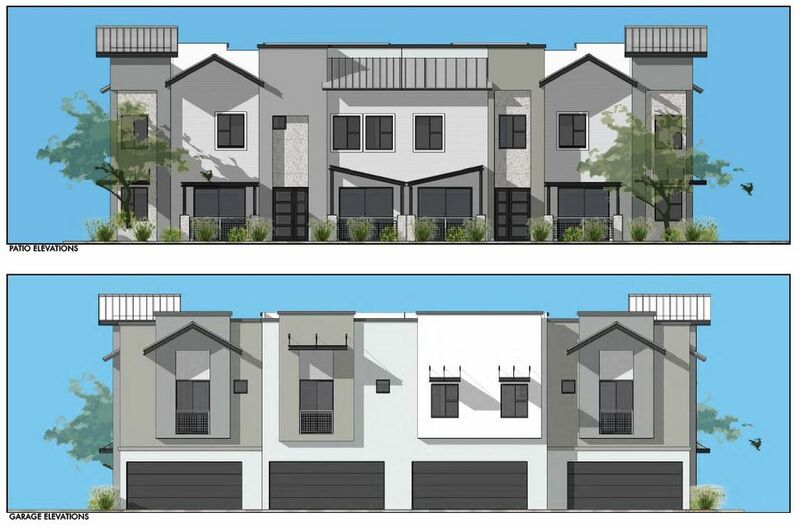 The proposed development would include 161 units with a net density of 13.4 units/acre, in compliance with the property’s High Density Residential General Plan Land Use Designation. Please tell us what you think! Your input will be considered by City staff during the review and approval process. The City has completed second review of the proposed development and has provided the applicant with a set of comments that must be incorporated into the project and resubmitted. A neighborhood meeting, to give all interested property owners a chance to learn more about the proposal and ask questions of the applicant and City staff, will be held on Tuesday, January 8 at 6:00 PM in the Sonoran Conference Room at City Hall. All are welcome to attend to learn more! Once the proposal has been revised to address the City’s review comments, the items will be scheduled for Planning Commission and City Council public hearings. All property owners within 1,000 feet of the subject site will be notified of these meetings via mailing. Additionally, all meetings will be advertised by a sign on the property and legal advertisements in the West Valley View. This page will be updated with dates for those meetings when they are determined.